In one of the starkest examples of how far new Republicanism has moved away from the old Republican establishment, new Florida Gov. Ron DeSantis said Thursday he plans to “eliminate” the Common Core academic standards from Florida’s public schools. Considering that former Florida Republican Gov. Jeb Bush was a driving force behind the national Common Core movement, this is a remarkable development. 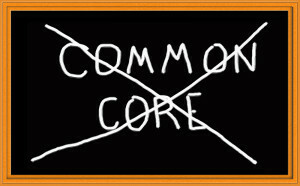 In effect, the death of Common Core is beginning in the same state where it was conceived, and with the same state party that conceived it. The original idea behind the core, one Jeb Bush devoted himself to evangelizing, was that uniform national standards would provide a benchmark against which the schools in all states could measure themselves and lead states to focus on the best practices to meet those standards. The core soon swept almost the entire country, with 45 states plus the District of Columbia adopting the standards. But many grassroots conservatives revolted from the start, saying the standards would lead to a stultifying national curriculum that would effectively trample on local control of education. Substantively, critics said the reading standards devalued classic literature and encouraged cultural values antithetical to tradition and decency; that the math standards encouraged complicated, newfangled approaches while discouraging teaching methodologies that had worked for centuries; and, among sundry other drawbacks, that it discouraged cursive writing even as science was showing conclusively that cursive aids juvenile brain development. After nearly a decade of core implementation, student performance hasn’t improved. In fact, whereas math scores actually were rising rapidly in the decade before Common Core, they have flatlined, or even dropped a bit, since the core was introduced. Not just conservatives but centrists and progressives piled on to denigrate the core….